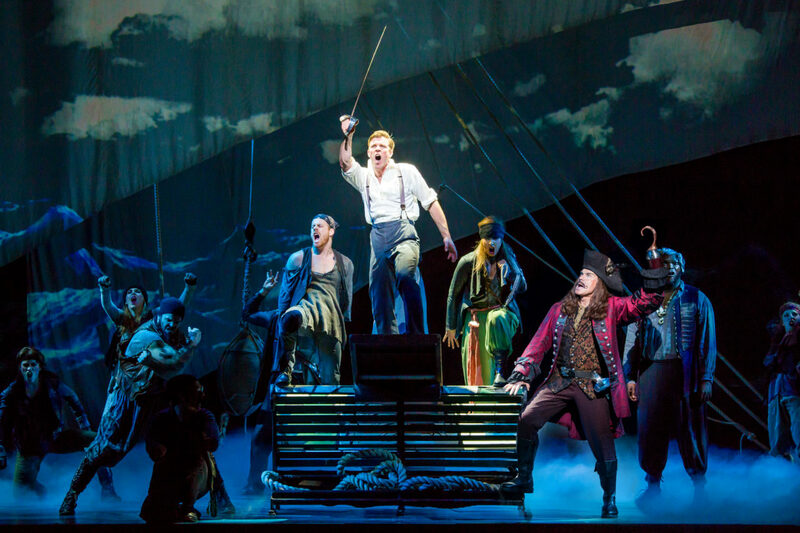 Billy Harrigan Tighe and John Davidson in Finding Neverland. Photo by Jeremy Daniel. 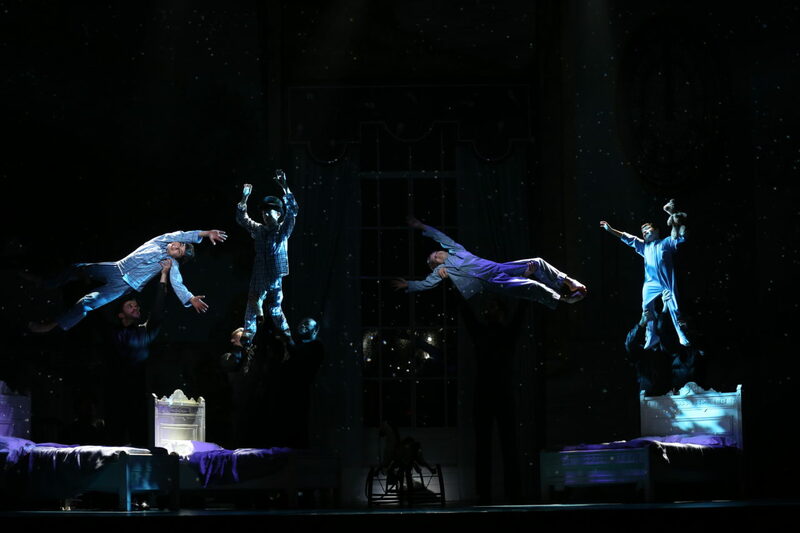 Peter Pan takes flight in Finding Neverland. Photo by Jeremy Daniel. If you follow Broadway musicals, you’ve probably heard the name Diane Paulus. Paulus is one of the most influential producers and directors on Broadway today. One of the founders of the Project 400 Theatre Group, she launched her career in New York City with innovative avant garde treatments of familiar works. Since becoming the artistic director of the American Repertory Theater in Cambridge, Massachusetts in 2008, she’s also been engaged in a rather sizable side career: preparing shows for Broadway. If the name isn’t ringing a bell, from her position at the A.R.T., Paulus has directed and produced a whole host of musicals that she sent to Broadway, including The Gershwin’s Porgy and Bess, Pippin, Waitress, and the show coming to Minneapolis this Halloween: Finding Neverland. 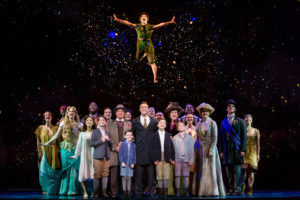 Finding Neverland is, in essence, a musical treatment of the origins of the novel Peter Pan, or The Boy Who Wouldn’t Grow Up. It follows Peter Pan creator J.M. Barrie and the Llewelyn Davies, a family who inspired much of his writing. Along the way, the book’s characters taking form to shape the narrative: Tinker Bell, Peter Pan, Captain Hook, and others. The score for Finding Neverland features music and lyrics by Gary Barlow and Eliot Kennedy; the book is by James Graham. Barlow was the one-time lead singer of the band Take That and a judge on The Voice UK; Kennedy also wrote songs for Take That as well as songs for films such as Stepmom and The Bridge to Terabithia. 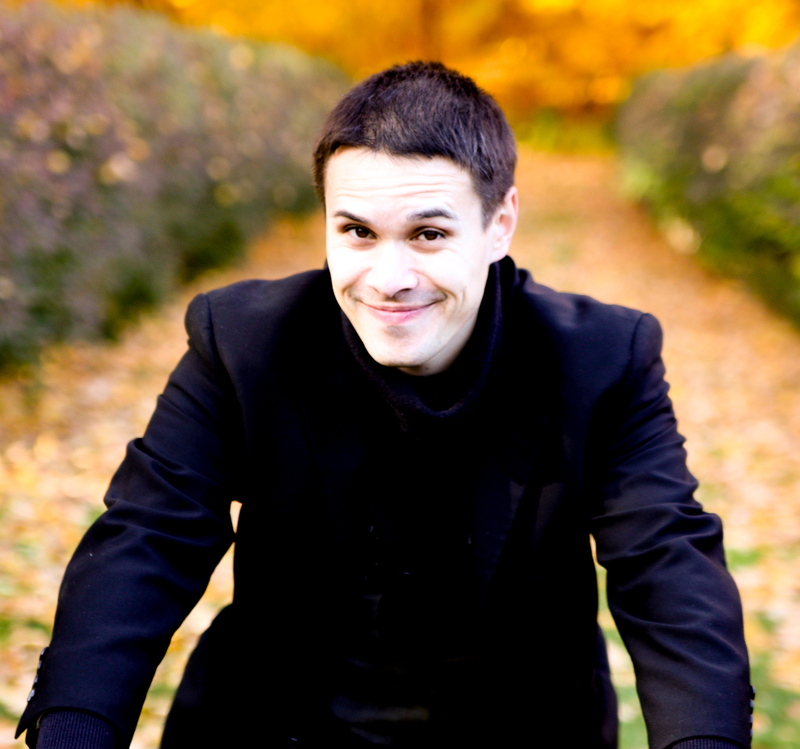 Graham is less well-known in the United States, but in the U.K. (from which he, Barlow, and Kennedy all hail) is known as one of the most prolific and produced 30-something playwrights. 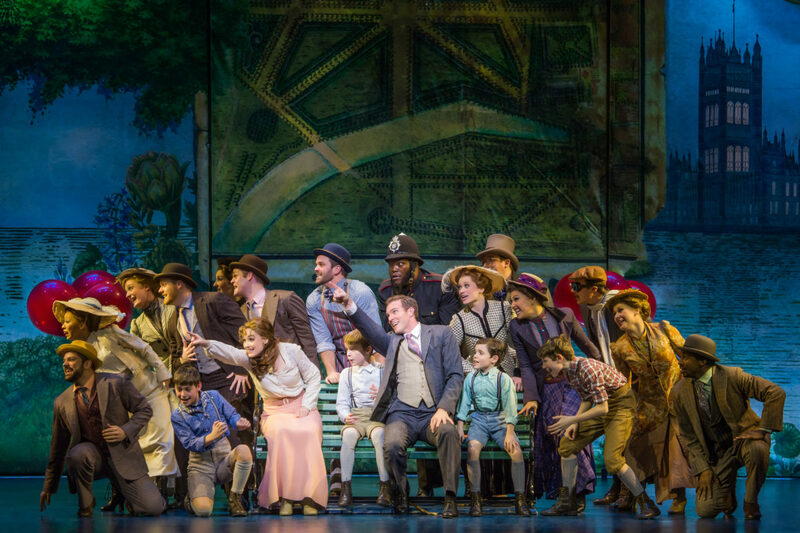 The cast of Finding Neverland. Photo by Jeremy Daniel. The story starts to take shape. Photo by Jeremy Daniel. As the story begins, characters begin to take flight… Photo by Carol Rosegg. 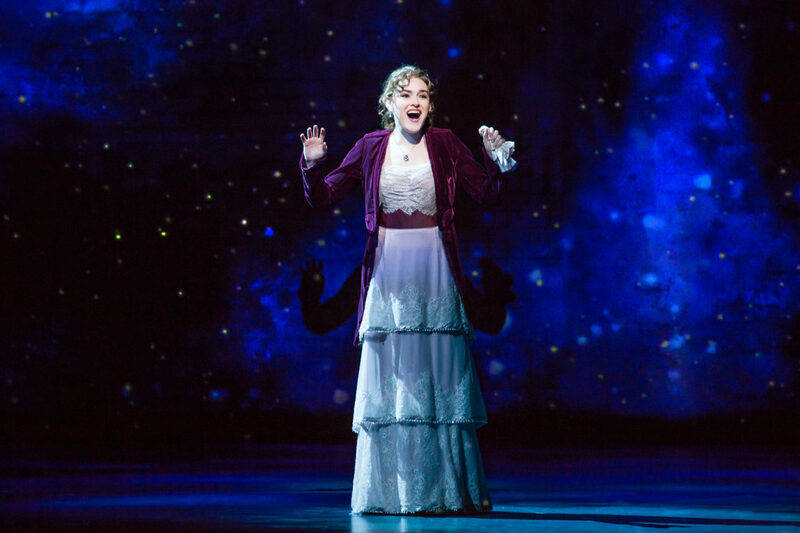 Christine Dwyer as Sylvia Llewelyn Davies in Finding Neverland. Photo by Jeremy Daniel. 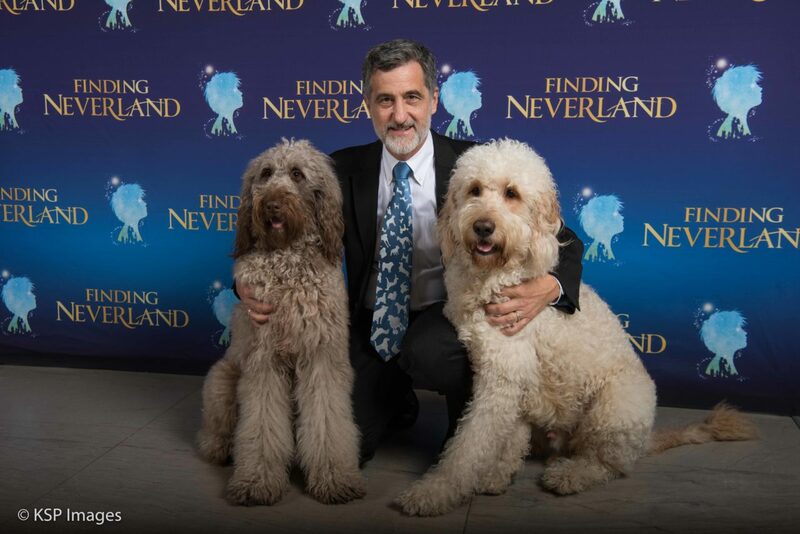 Sammy Porthos with Bill Berloni and Bailey the Understudy Dog from the National Tour of Finding Neverland. Photo by KSP Images. 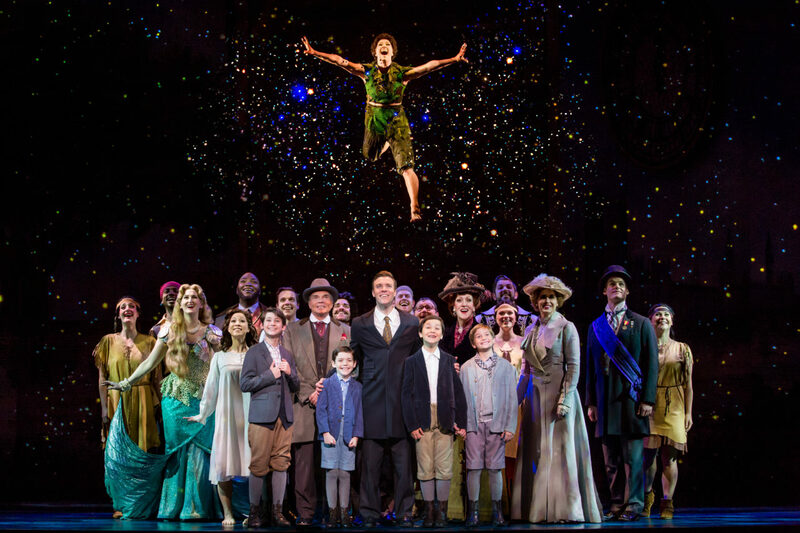 Finding Neverland opens at the Orpheum Theatre in Minneapolis on Oct. 31 and plays through Nov. 5.